Lor Mee, a local Singaporean dish, is one of my favourite food here in Singapore, especially when I tasted it since I was a young boy in Primary School and it kind of became my one of those food that I would eat when I am around in certain districts. This Yuan Chun Famous Lor Mee, a popular dish, testimonial to its long queue during lunch hours at Amoy Street Food Centre. The gravy is thick and delicious, nice amount of ingredients inside the bowl of Lor Mee, whenever I have it, the thick gravy would be finished up by me, leaving not much “evidence” behind 🙂 Oh yes, do not forget to add sliced chilli, pepper and vinegar to be mixed inside and along with the other delicious belly pork inside ! 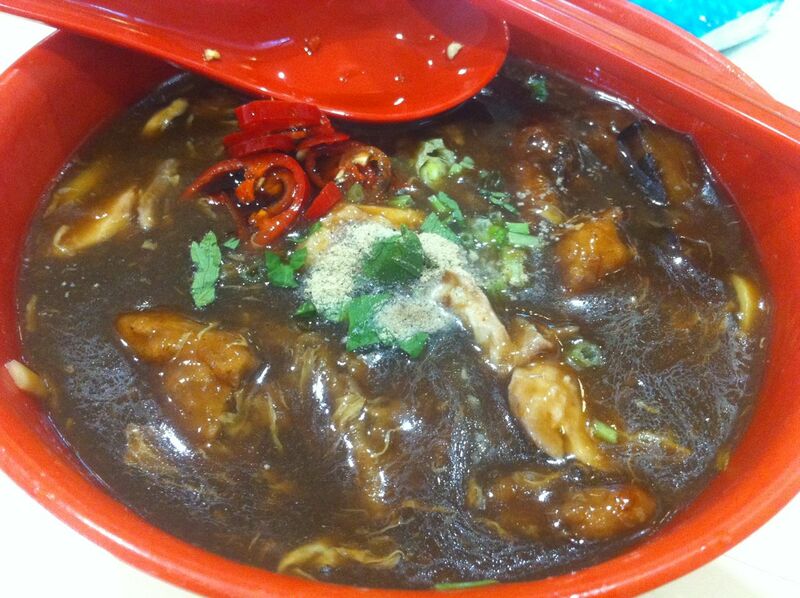 Do remember to drop by and have a taste of the Amoy Food Centre Famous Lor Mee if you have the chance !